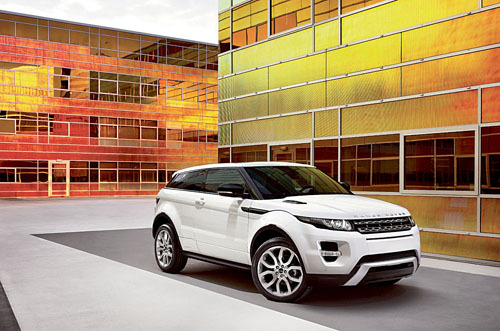 The new Range Rover Evoque will make its global debut at this week’s 2010 Paris Motor Show. It is the smallest, lightest, and most fuel efficient Range Rover ever. The Range Rover Evoque brings the acclaimed Land Rover’s LRX concept car into production reality, faithfully capturing the original design of this landmark cross-coupe concept. It features a bold exterior that has evolved from Range Rover’s design language. The Evoque delivers premium levels of craftsmanship, luxury, performance and renowned Land Rover all-terrain capability into a shrink-wrapped compact package. It will be offered in both four-wheel-drive and front-wheel-drive versions. And class-leading sustainability - sub 130g/kmCO2 with 58mpg combined fuel economy - is promised. The premium cabin promises full-sized glass panoramic roof that floods the interior with natural light. “These are exciting times for our business,” said CEO Dr Ralf Speth. “Not only will the Range Rover Evoque increase our worldwide market share, it helps to define a new segment for premium compact SUVs that are more sporting and stylish." The new Range Rover Evoque will go on sale here next summer.